Posted on April 2, 2017 by Ching under Community, Zumba. March was a super busy month for which I am still recovering. It was a whirlwind with something going on every weekend. I still can’t believe I survived. At least I got to spend lots of time with my favorite people. 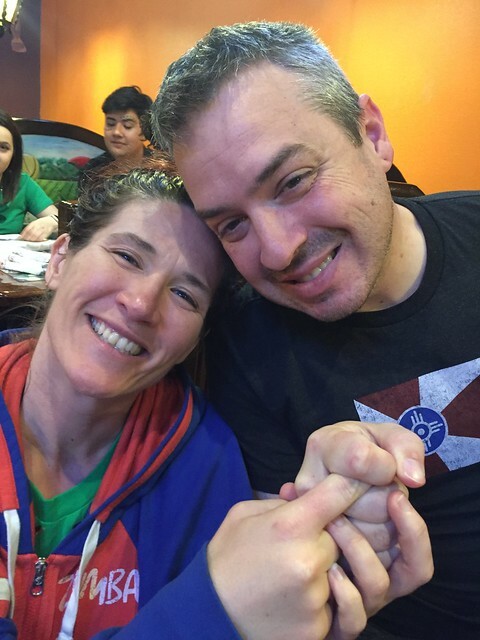 This is a picture of Missy and Brian at the new Los Cocos in Andover after the Shake Your Shamrocks Zumbathon®. This was the night that we introduced her to the joys of $1.99 margaritas everyday. 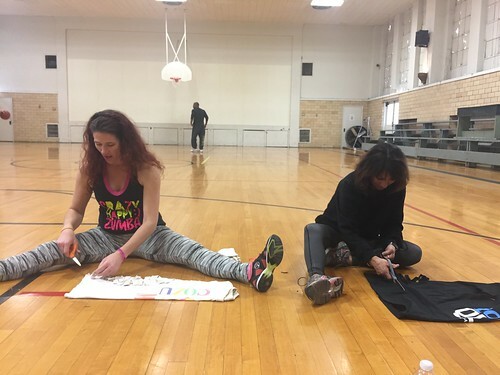 The next day, we saw everyone again because I hosted a “thank you” get together for the instructors who generously volunteered their time to teach at the Zumbathon®. 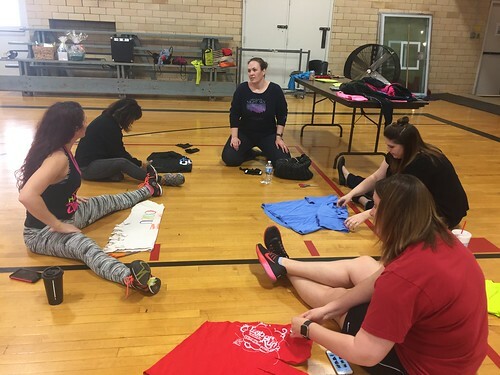 I bought matching t-shirts for all the instructors to wear at the Dance For Kids’ Sake Zumbathon® as a “thank you” for their participation and I needed a way to get the shirts to everyone without having to drive all over town to make shirt deliveries. 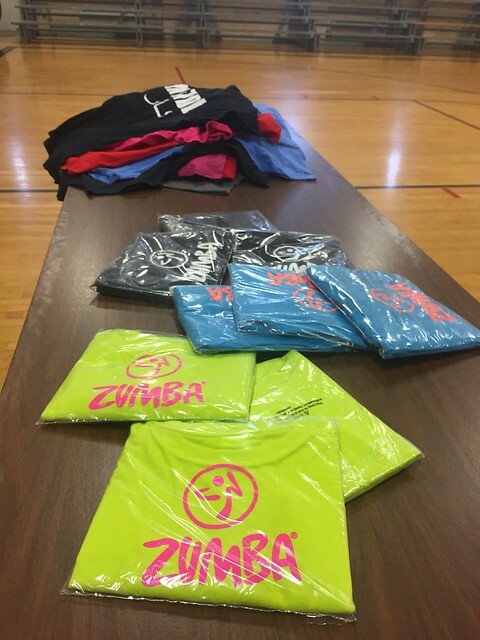 I needed to make sure that everyone knew the location of the Zumbathon® ahead of time so none of the instructors would get lost and be late on the day of the event. It was a good way to have a small, fun get together to show everyone how much they are appreciated. Pat, Charis, and Stephanie all got the black shirts. Todd, Amy, and Christina got the aqua blue shirts. 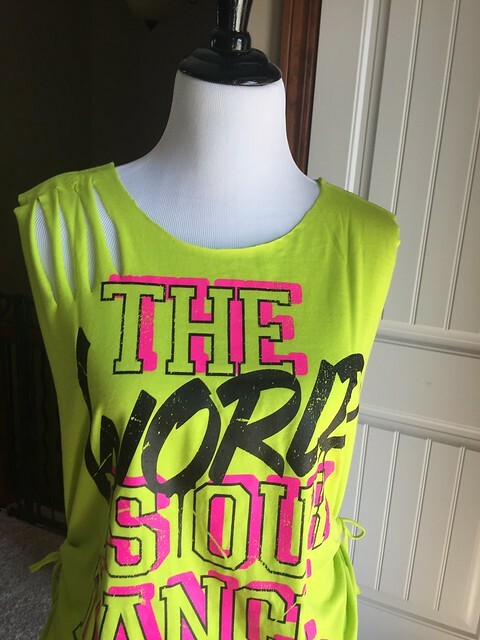 Andrea, Missy, and I got the neon green shirts. 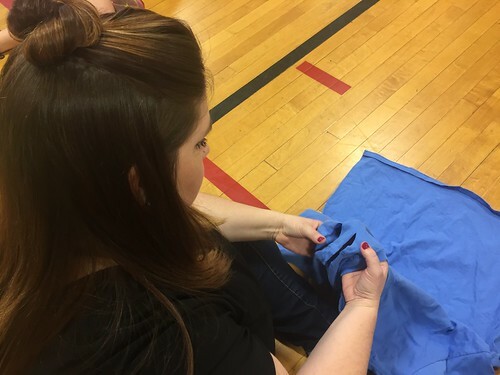 The event was an instructor-appreciation-slash-shirt-cutting-party, where everyone got to pick up their shirts and bling it out too. To that end, I brought a bunch of old shirts for us to practice on. This was one of my “practice” shirts. Charis (foreground) and Andrea (background) both did “practice” rounds as well. 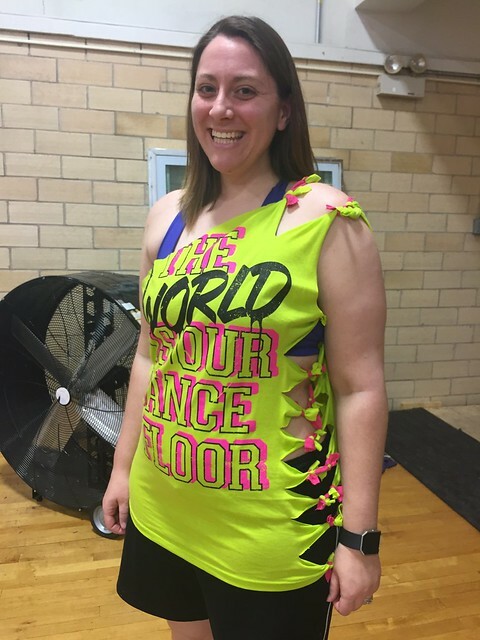 I think Missy must have brought her own “practice” shirt because I do not recognize that one. I don’t think it was part of my shirt stash. Pat did a “practice” round also. Here’s Charis contemplating her design. 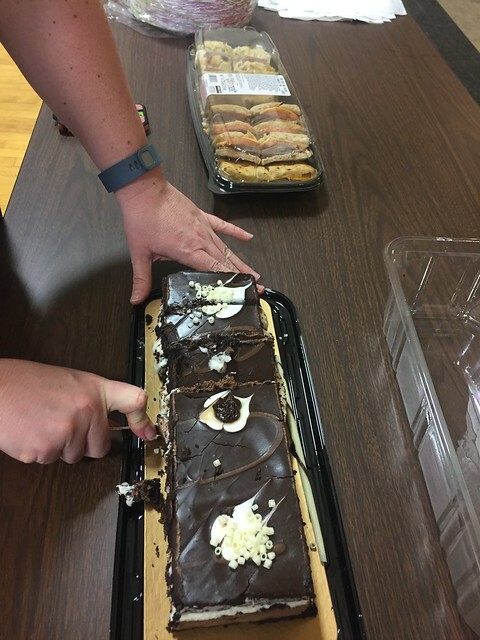 We brought in cake and sandwiches to celebrate Stephanie’s birthday. 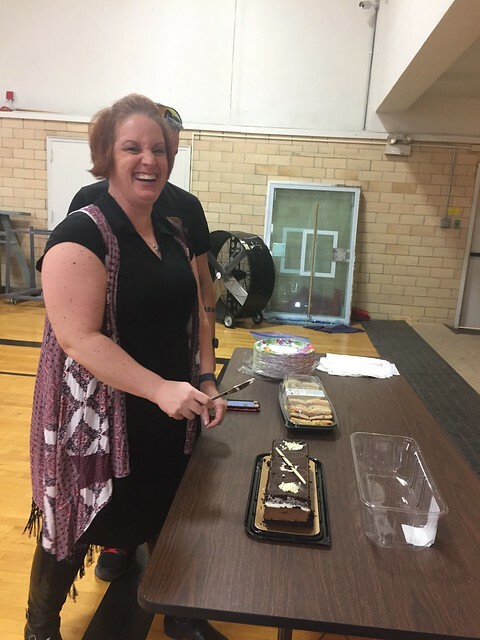 We made her cut her own cake. LOL. 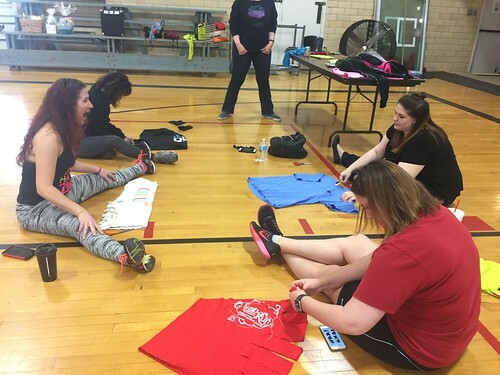 I did two “practice” rounds at the event but didn’t end up finalizing my shirt design until the next day. Here’s the finished product. 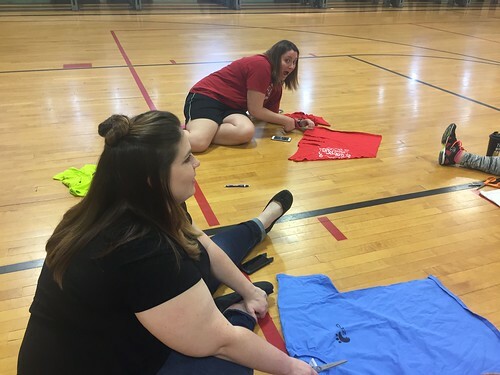 I had to be creative and strategic about where I made my cuts because, while I wanted to shrink the one-size-fits-most to fit me, I didn’t want to lose any of the writing on the shirt both on the front and back. Rather than cutting along the bottom to shorten the shirt (it was almost to my knees #ShortPersonProblems), I decided to cinch the sides to hike it up to a more manageable length. 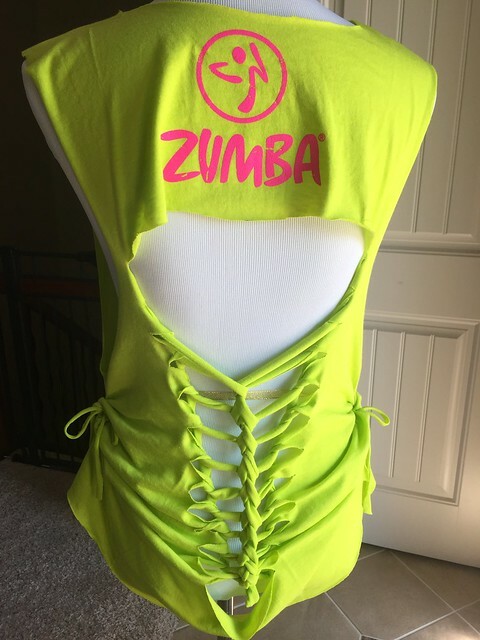 I braided the back of the shirt to shrink the width of it but I had to start below the Zumba® logo/design because I didn’t want to lose any of it. 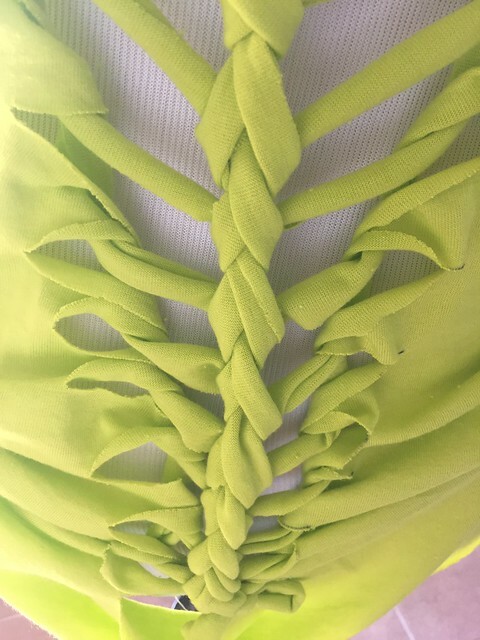 Here’s a close-up shot of the braid design. Here’s another view of the back and side. 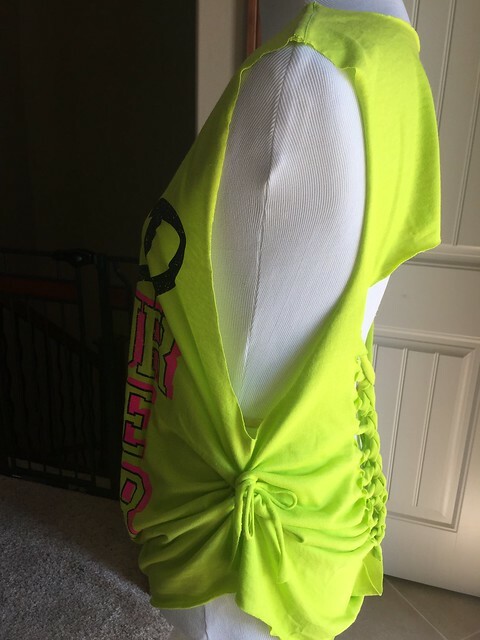 I decided the front was too boring so I cut some slits on the right shoulder. 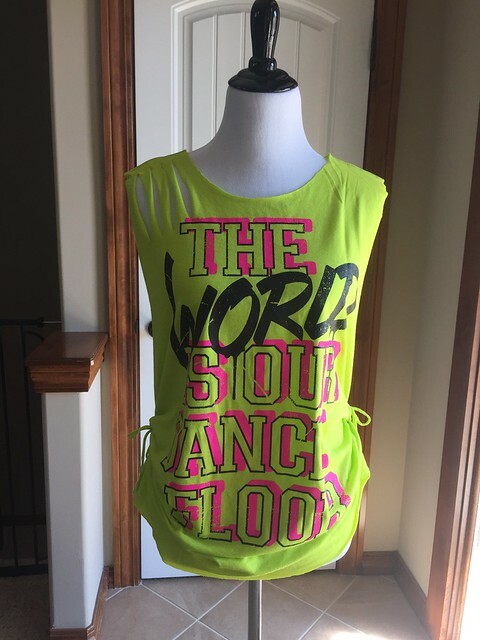 It’s still pretty boring on the front but there wasn’t much I could do because I wanted to keep all of the writing. It turned out pretty well overall. 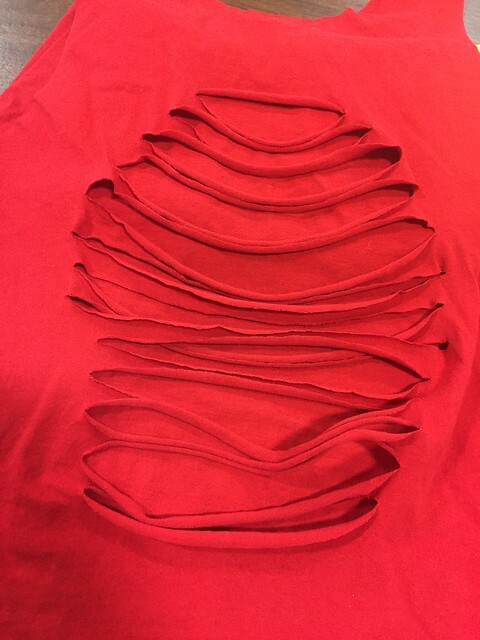 This is by far my favorite “destroyed shirt” to date. 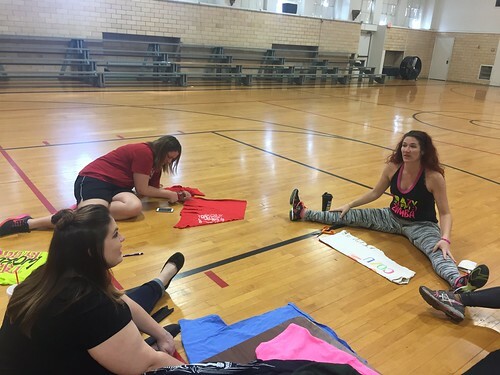 When I write my post about the actual Dance for Kids’ Sake Zumbathon® event you’ll see how everyone’s shirts turned out. Everyone did a fabulous job of customizing their respective shirts. All of our shirts turned out different and uniquely our own. Stay tuned! 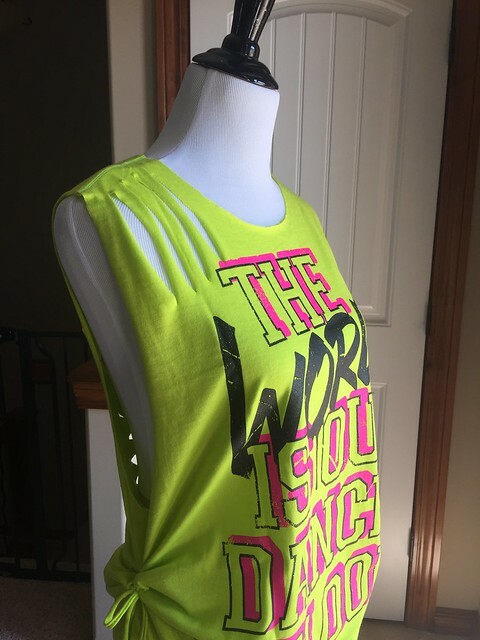 Replies to "Zumbathon® Instructor Appreciation Event"